I just can't resist decorating my house for Halloween. Despite the fact I'm 26 and have no kids, I think Halloween is definitely for adults too and so I love decking the house out in fake cobwebs, skull bunting, spooky signs, pumpkins and ghost-shaped fairy lights. I don't have a huge Halloween decoration collection since moving house, but each year I always go to Asda or B&M for a few bits and pieces to spruce the house up. I also have to restrain myself in the likes of TK Maxx and Homesense because SO MUCH HALLOWEEN STUFF. Maybe in a few years I'll have enough bits to turn my house into a spooky spectacle! I love baking any time of the year, but whereas I usually opt for super girly, cutesy cakes, Halloween gives me the perfect opportunity to try something a bit different. Whether it's Halloween biscuits, scary fairy cakes or even blood-and-guts gorey bakes (edible fake blood, anyone!?) I love getting involved this time of year and whipping up something to enjoy whilst watching a spooky film. Speaking of films, watching a Halloween movie or three is most definitely another thing I just love about this time of year. If I'm feeling brave I might opt for a horror, but I usually tend to go for the likes of Hocus Pocus (it's a classic, and just screams Halloween) or The Night Before Christmas. Failing that I might stick on American Horror Story and watch a few episodes, whilst snacking on a multitude of Halloween treats, of course. I know some people HATE having to get up and answer the door to trick or treaters (or just downright refuse!) but I absolutely love it. We always get a big stock of sweets in, put our pumpkins in the window along with any other Halloweeny bits we can find, and keep an ear out for any knocks at the door. It reminds me of when I was younger and used to go trick or treating every year with my sister and our friend - we would always come back absolutely loaded with sweets! I think it's what Halloween is all about! Of course, it wouldn't be Halloween without getting stuck in and carving a pumpkin or two! Me and my boyfriend have a bit of a tradition where we carve our pumpkins together - his always turn out a lot better than mine, but we always have a laugh doing it. You could even save the pumpkin guts and whip up a pumpkin pie with them too! We had them all the time when we were kids, and now we're older a Halloween party usually means dressing up and drinking lots of red or green-hued alcoholic beverages, but I still love them! I haven't been to one in a while but you really can't beat a Halloween party. 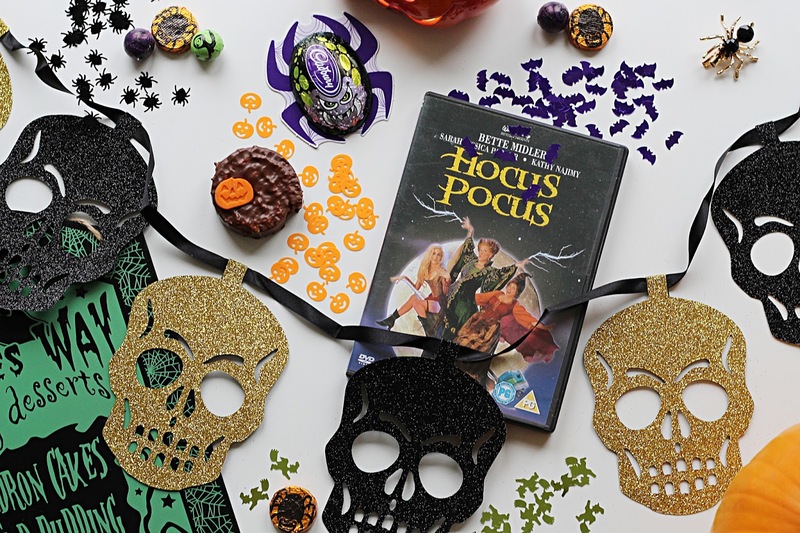 Whether it's a full-on party or just a scary movie night with friends, I love all the various Halloween party bits and bobs you can get now, and think it's the perfect excuse to turn your home into a haunted house and bring out all the spooky snacks! Of course, one of my ultimate favourite things about Halloween is the fact it means we get to dress up! This year I've been amazed by the amount of seriously INSANE Halloween makeup tutorials on the internet, and the really original costumes I've seen people come up with. You can really be anything you want on the 31st (spooky or not!) so I love that so many people embrace this and go all-out in the costume department!